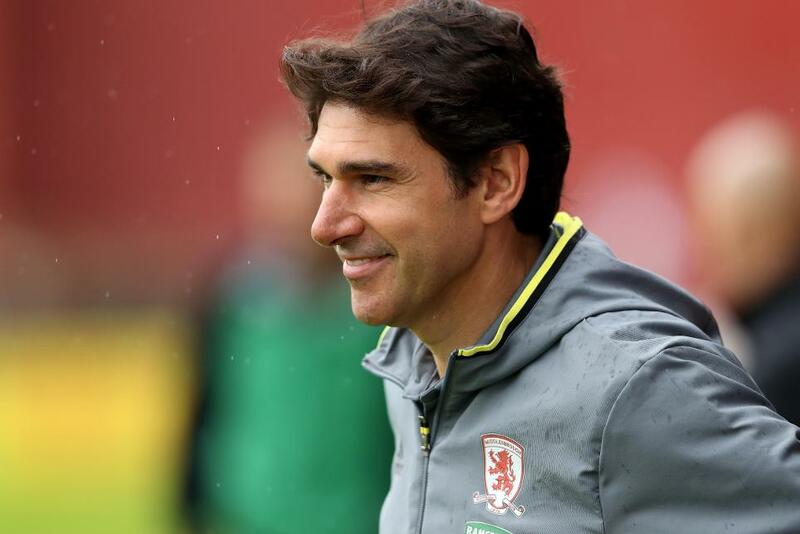 Aitor Karanka says Middlesbrough's opening match of the Premier League season this weekend cannot come soon enough. Boro make their top-flight return after seven years in the Championship when they face Stoke City at the Riverside Stadium on Saturday and Karanka believes it will be a special moment for the whole club. "We have all been working really hard for the last two and a half years," Karanka said at his press conference. "Since the game against Brighton last May I have always been waiting for this Saturday." "We've worked really hard to get here. For everybody it's been a dream - so imagine what it’s been like for me. We need to keep the dream going. Everyone is excited - the people on the streets - they’re thinking about the game on Saturday. The club is ready for this." Karanka says Dani Ayala, new signing Bernado Espinsosa and longstanding absentee Grant Leadbitter are the only players ruled out of Saturday. Mark Hughes says Stoke City will be able to cope with atmosphere at the Riverside as a buoyant home support cheer their side on. "It's a newly promoted team and the crowd will obviously be on a high," Hughes tols Stoke City Player. “They will have a lot of energy from winning games and playing well last season, and they will be hoping to carry that on. We have just got to make them [Boro] aware quickly of what the Premier League is all about." Stoke goalkeeper Jack Butland has been ruled out of the opening fixture after jarring his ankle in training on Friday morning. Defender Glen Johnson (quadriceps) is a doubt.